For most start-ups, finding their brand identity is one difficult task. It’s one thing to have an amazing product, and it’s another to have a unique identity that sets you apart from the others. For Purple Spread co-founder Rob Han, branding is more than just a company’s logo or a name. Nothing is just a product because your product represents you as a person and as a company. Branding is much like defining a person; from his values, his tone of voice to the way he affects people when he walks into the room. It is the slightest things you do; from the colors, you use to the way you address your customer’s concerns. The goal of this workshop is to help you learn how to communicate your brand swiftly and cut through the noisy marketplace. It will help build a clear brand character and walk away with the ability to connect with your customers quickly and deeply. Rob discussed what he believed were the basics in identifying a company’s brand identity. He also talked about how branding is all focused on creating awareness, power, and engagement with your audience. He also reiterated that entrepreneurs and start-ups need to keep it simple and stick to what they need when it comes to building a brand. Want to learn more about this workshop? 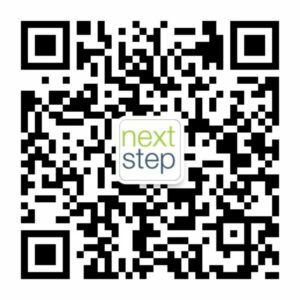 Send us an email at info@nextstep-workshops.com.